Haith has developed a unique hydrocooler, which can be used, for example, to cool carrots. Thanks to its robust construction, this machine requires very little maintenance. 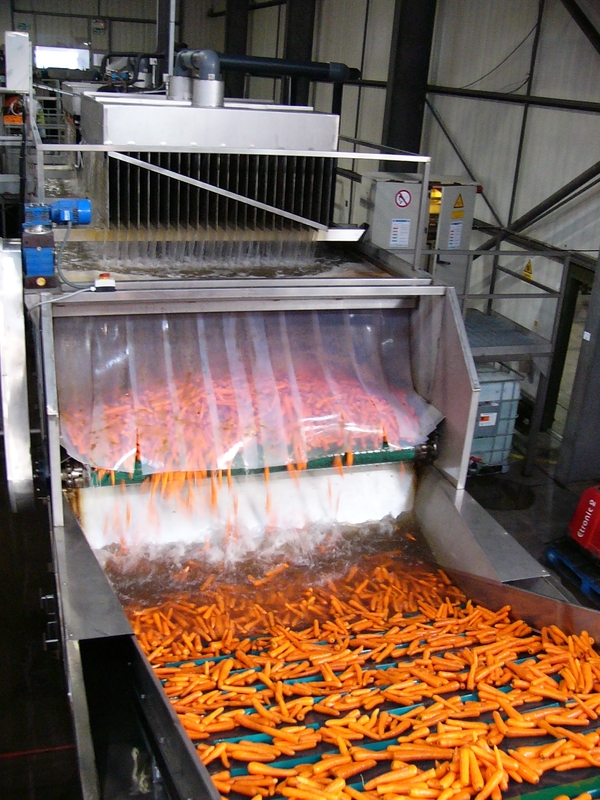 With a capacity of 1-30 tonnes an hour, this machine can easily cool the product to the desired temperature. The hydrocooler is easy to clean, because it is an open system. The plate cooler at the top of the machine ensures the water is continuously cooled.